As I’ve mentioned before in several posts, film blogging can mean a lot of hard work for very little reward. Sure, I – and I’m assuming this goes for many others – do it principally to showcase a love of film, perhaps even influencing others along the way. That said, it’s always nice to be recognised for what you do, whether it’s through positive comments on your posts, the opportunity to receive advanced copies of films or even to attend film-related events, such as screenings, festivals and, urm, premieres. Never one to bask in my own creative success, it came as a huge shock to me when I opened my inbox up a few weeks ago to find an email from Film4 thanking me for my continued support of what they do and the dedicated work I do as a film blogger. That was nice, I thought. 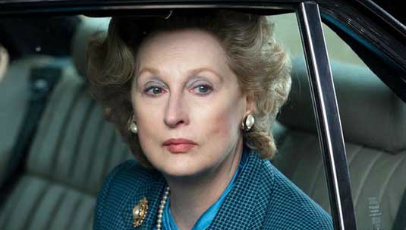 Then I realised there was another unread message saying they’d be sending me two tickets to the U.K. premiere of The Iron Lady in London on Wednesday, January 4. To say I was speechless would be a considerable understatement, but I was also extremely excited and in awe of their generosity. The premiere itself arrived and passed in a haze of flashing lights, A-list actors (Meryl Streep, Olivia Colman and Jim Broadbent were all in attendance), and tempestuous PR agents. After being ushered to our seats for spending too long marvelling at the blue carpet, we only had a brief moment of calmness to relax and soak up the ambience before the cast and crew introduced themselves to a very loud round of applause. The film promptly started. It all moved so fast, so it was nice to sit down in Nando’s afterwards and have the space to take several deep breaths and make sense of exactly what had just happened. It was – and this will come as no surprise to those who have been enveloped in the same level of hysteria – exactly what I had dreamed of, and will forever be implanted in my still frazzled mind. The next day felt a little more relaxed. We were up and out of the hotel by 9am and sat in the Curzon, Soho by midday, having walked from one end of London the other, and back again. Then, before we knew it, we were on the train back to Edinburgh, and our little adventure was slowly, stop by stop, coming to a bittersweet end. Not only was the trip an experience I’ll not forget in a hurry, but it was also the perfect way to mark the culmination of a year and a half of hard work. It made me realise that this is exactly what I want from life, and I’ll do anything in my power to make it happen. Thank you Film4 and anyone who has supported me in my efforts. Your kind words certainly don’t go amiss. If you haven’t already done so, please click here to read my review of the film in question. And apparently you don’t think that accepting premiere tickets for a lousy film in exchange for “support” compromises you as a critic. Well, no, because I’ve never claimed to be a critic. I do what I do because I love films, and if I happen to get invited to events, etc., then so be it. I mean, obviously if I were writing for a more established magazine or newspaper, then I would agree with what you’re saying, but not when I’m only blogging about film on a very low-key basis. This is mostly the way that professional critics work, you know? Reviewers are invited to free press screenings, given promotional copies of DVDs and sent swag like this all the time and their opinions are *never* compromised. What makes it so different in this case? I’d understand your point of he was calling this film the eighth wonder of the world, but it’s a very balanced article – one of the few I’ve seen for The Iron Lady. Did you even read it? I’d rather listen to Jamie go on about his free mobile phone again than take your word for anything about professional film critics, though you both seem intriguingly hang-up about first class train travel. Impressive Jamie on getting the tickets. I am looking forward to the day when I get such an email (it’s a small dream of mine lol). Keep up the good work and one day, please God, we shall meet at a premier or an award ceremony.